@artbab.bh and @artpremium presents “The Legacy & The Contemporary Memory” at @le_grand_palais in Paris on the 13th of September. 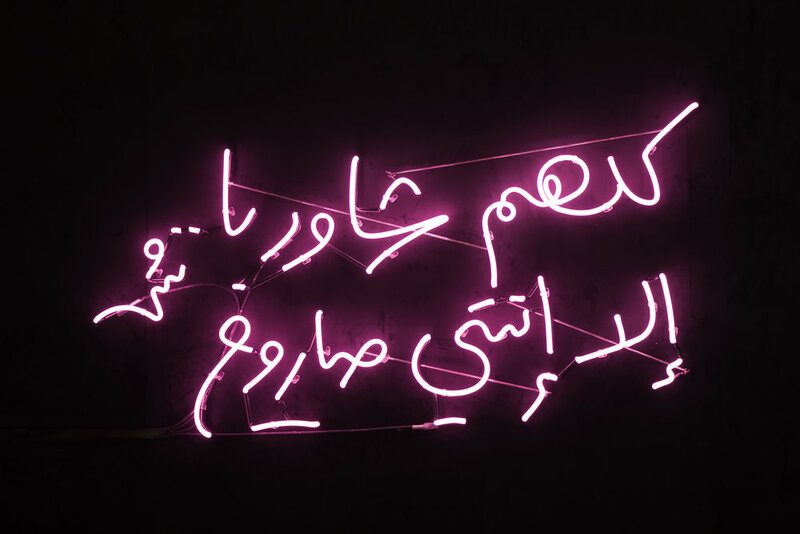 A selection of old and new works will be showcased amongst other Bahraini artists works. It is the first edition of Bahrain Art Week in Paris. This exhibition aims to explore the experience of first love, in many ways universally relatable. It is our teenage years that encapsulate our first desire to be loved and to feel wanted. It’s then that we learn that the only way we are able to test love is through the dramatic sacrifices we are forced to make in its name. And often, the shame we are taught to feel during such a pivotal time in our development, shapes our understanding of love in the present. Crushed remains coated with a rainbow gradient of colour, represent the foundation of the work presented and it is through these objects that Aysha Al Moayyed explores these formative years. Diary entries written by an Arab teenage girl allow us to experience ones first introduction to life, death and drama.